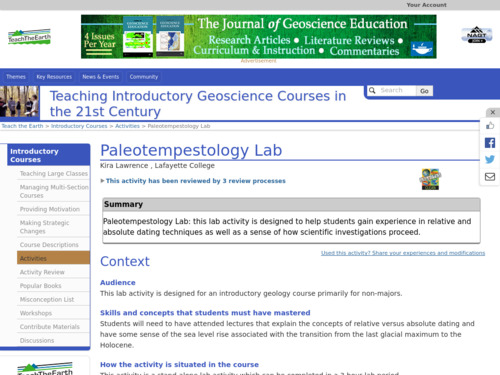 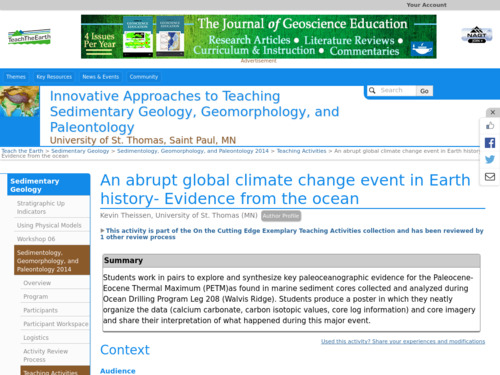 This activity introduces students to stratigraphic correlation and the dating of geologic materials, using coastal sediment cores that preserve a record of past hurricane activity. 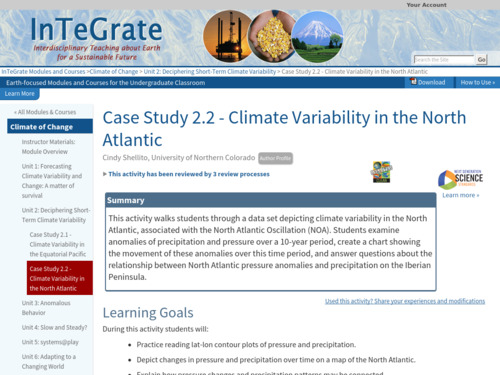 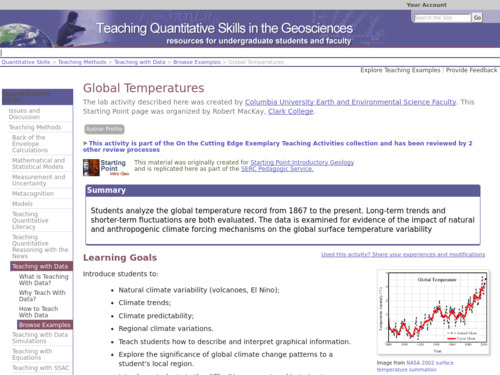 In this activity, students examine climate variability in the North Atlantic associated with the North Atlantic Oscillation (NOA) in a case study format. 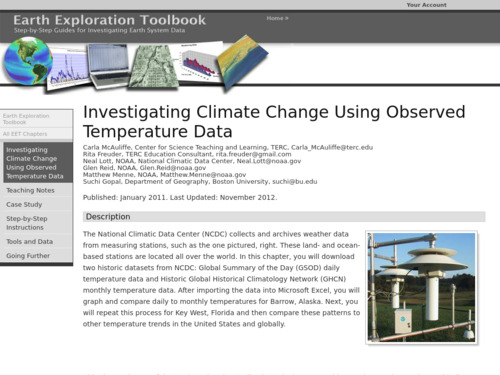 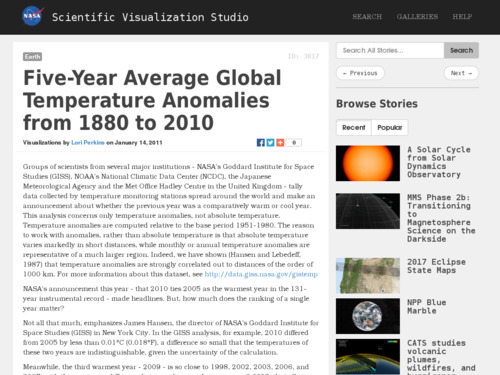 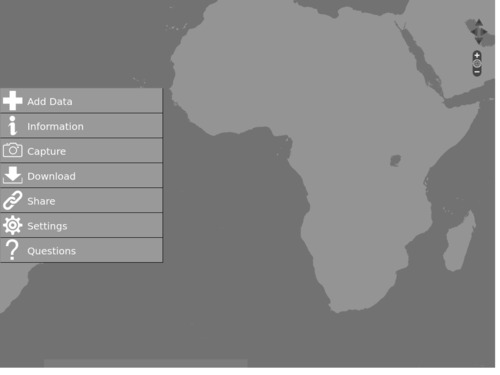 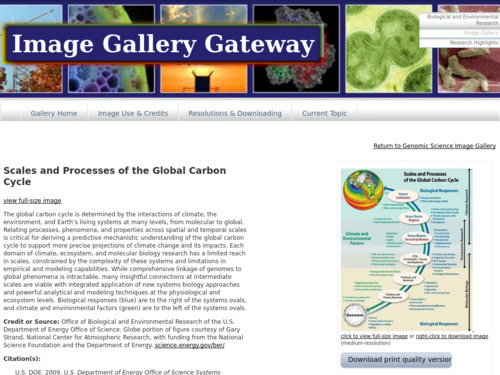 This data viewing tool from NOAA offers nearly instant access to dozens of datasets about Earth through an engaging interface. 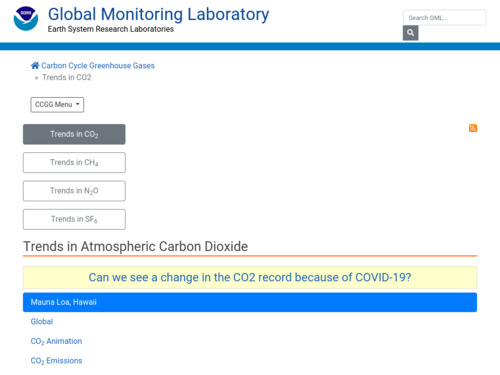 Users can select data categories from atmosphere, ocean, land, cryosphere, and climate and drill down from there into more detailed categories.